Several major American music labels have filed a copyright infringement lawsuit in the US District Court for the Central District of California against iBusMedia Limited, the parent company of global news portal and “super affiliate” PokerNews. The action, filed on Friday, November 16, 2018, seeks what could potentially be nearly $7 million in damages related to the unlicensed use of music published by the labels on hundreds of PokerNews podcasts and videos. Joining the action as plaintiffs are Universal Music, Songs of Universal, PolyGram, MGB, and Z Tunes, each of whom learned of one or more of their artists’ published work being used illicitly within the PokerNews content. The filing details 46 different plaintiff-owned songs already incorporated within at least 253 pieces of PokerNews podcast or video content. 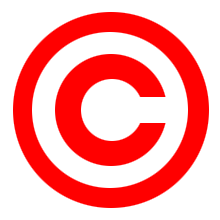 Applicable copyright law allows aggrieved parties to seek up to $150,000 per infringed work. At 46 songs infringed upon (as of the initial filing), that equals $6.9 million in statutory damages, with additional punitive damages, legal expenses and court costs also potentially on the table. According to the lawsuit, first published by TorrentFreak, the infringement by PokerNews has been both willful and ongoing. The collected music publishers had already notified iBusMedia of the infringing content nearly three years ago — “no later than December 2015” — but according to the complaint, and despite claims of compliance by PokerNews, the site has willingly and actively continued to infringe. Plaintiffs are informed and believe, and on that basis aver, that iBus Media is well aware that its conduct constitutes copyright infringement. Defendant is a sophisticated entity that derives significant income from the exploitation of the content it distributes, including the Infringing Podcasts, and is fully familiar with applicable copyright laws. On Pokernews, iBus Media even expressly proclaims that “All Content published by PokerNews on the Site (apart from User-submitted Content), including, without limitation, images, photographs, graphics, animations, videos, audio and text . 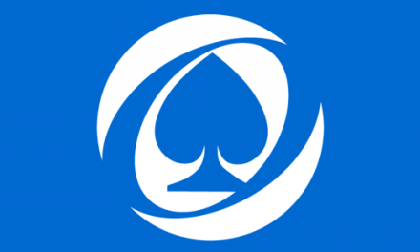 . . are owned by PokerNews and/or its licensors and is protected by copyright and other intellectual property or other proprietary rights.” Nevertheless, iBus Media has continued to produce and make available infringing content, despite receiving express notice that its conduct is prohibited. As such, Defendant knows that music cannot be copied, adapted, distributed, sold, and publicly performed without a license. The lawsuit also notes that despite iBusMedia’s primary incorporation in the Isle of Man, the company maintains considerable presence in California and the rest of the US, having one of its five global offices in California. The lawsuit also refers to a California-based editor and a US-based “Head of Video and Podcasting”. The two individuals are referenced but not specifically named in the complaint, which does list “John Does 1-10” as individual defendants, pending further discovery. Though unnamed, the two individuals are widely known within the poker industry. The claim made by the plaintiff music labels lists four causes of action, including two of copyright infringement, plus one each for alleged violations of California’s civil and business-and-professions codes. The complaint asks for a jury trial. The songs allegedly infringed upon skew heavily toward modern music, including at least eight different Kanye West tracks. The list of infringed artists and tracks, however, also stretches back to include some decades-old classics. A sampling of the artists cited whose content was allegedly infringed upon includes West, Nas, DMX, Lupe Fiasco, Garth Brooks, Guns and Roses, Beastie Boys, Lil Wayne, 2 Pac, Frank Sinatra, The Who, Steppenwolf, Eminem, Black Eyed Peas, and many, many others. The complaint also notes that in addition to PokerNews’ online site and branded app, the alleged infringing content was also offered through major online content services such as audioBoom, iTunes, Spotify, Google Play, and Stitcher.